LAS VEGAS, NV. — NFL great Emmitt Smith will be the guest speaker at Sirona Dental CEREC 30th Anniversary Celebration to be held September 17-19, 2015 at The Venetian and The Palazzo Hotel in Las Vegas. Smith will talk about focusing on the determination and perseverance required to achieve success and overcome obstacles. Former NFL running back, Emmitt Smith, amassed 18,355 yards during his 14 seasons, 12 of which were with the Dallas Cowboys. He helped bring the Cowboys to three Super Bowl victories and was inducted into the Pro Football Hall of Fame in 2010, his first year of eligibility. He was also the 2006 winner of the popular ABC television show, “Dancing With the Stars.” Currently Smith is majority partner and co-chairman of ESmith Legacy, Inc., a Dallas-based commercial real estate company focused on delivering real estate solutions and services for general and minority marketing development. Today Smith is a popular motivational speaker. 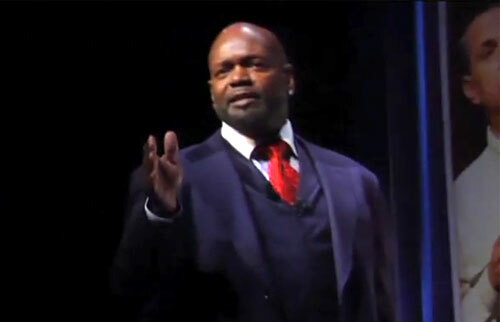 If you would like to book NFL stars or pro athletes like Emmitt Smith for a speaking engagement or personal appearance, contact Emmitt Smith’s booking agent for information at Sports Speakers 360. For booking agent and appearance fee information on how to hire Dallas Cowboys players for appearances, call 1.855.303.5450.